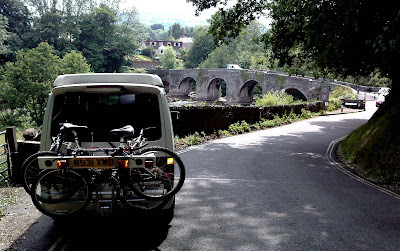 Whether you want to ride the surf on beautiful beaches, tackle a challenging bike trail in fresh mountain air, or hike through some of the most scenic UK National Parks, hiring a Mazda Bongo Capmpervan from GoBongo is one of the best ways to get outdoors in Wales and beyond. Hire from us and be amazed at the features packed into our Mazda Bongo. Enjoy all the fun and freedom you expect from a classic campervan, but with up to date extras, and standards of comfort that will turn your trip to the outdoors into a fantastic holiday or short break. If you fancy a break in Autumn or Winter ask about our “Warmer Nights Comfort Package” including heaters for both van and awning, and fantastic electric under-blankets that will keep you warm through even the coldest nights (pitch with mains hook-up required). The cost savings on your hire and site fees compared with peak season will give you a nice warm feeling too! Whatever you want do do on your active break, there's no better way than to GoBongo!